Last week marked the season finale of This is Us. And while, honestly, it’s a relief to know we won’t be crying over a fictional family every week, there’s still going to be a Pearson-shaped hole in our hearts until the fall. (It’s a really long break, y’all.) But we can make it. We can! We have that Big Three love to keep us going. But while we wait for Randall, Kate, and Kevin to grace our televisions once more, here are five literary families who would be the perfect inspiration for a This is Us-style show. We know BBC just did a television adaptation of Little Women, but imagine a contemporary twist starring Meg, Jo, Beth, and Amy – four March sisters living totally separate lives in New England. Jo’s a journalist, naturally, working for The Boston Globe. Meg is a fashion designer working in Portland, Maine. (Come on. You know these shows all need a completely unattainable career in a completely too small city.) Beth is a nurse living in New Haven. And Amy, of course, is a socialite living with her husband Laurie in Providence. The pilot would conclude with all four March sisters in a hospital waiting room, receiving the news that their father, a retired Army doctor, has just had a heart attack. 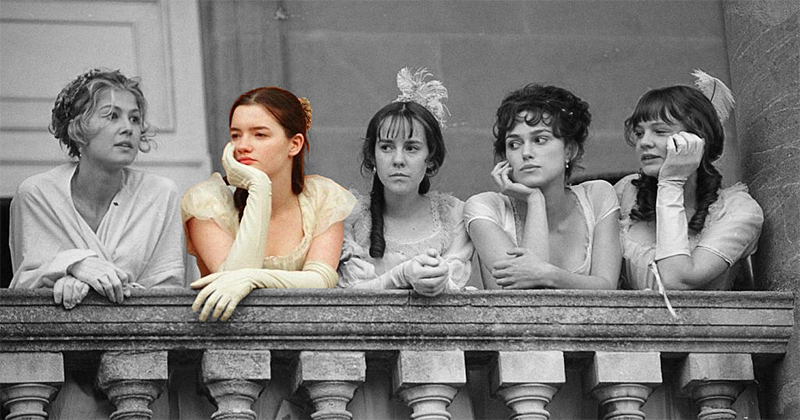 Forget those quintessential adaptations of Pride & Prejudice. We’ve got other plans for the Bennet sisters. When movie star Fitzwilliam Darcy moves to a sleepy suburban town to quietly ride out a scandal, the Airbnb he’s rented just so happens to belong to Lizzie Bennet and her sister Jane. And while Lizzie is incredibly annoyed that Darcy is even there, she’s not about to turn down passive rental income. It’s an open-ended lease! They don’t even have to hire a cleaning crew every week. But Darcy isn’t keeping this quiet town quiet. And now his best friend Bingley is crashing in the guest house too. Is this Pemberley or Neighbors 3? The pilot would conclude with the first of the season’s many loud parties, where Darcy, complete with smolder, informs Lizzie that he doesn’t care for dancing. Then why is he making space for music? We’ve been advocating for a raucous road trip treatment of The Wangs vs The World, but what if it was a dramatic series instead? Like This is Us, The Wangs vs The World relies on a heavy backstory full of family secrets – making this novel ripe for the multiple timelines that make This is Us so incredibly satisfying. The pilot would focus on Saina Wang and her father Charles – only we wouldn’t know they were related until the final moment of the show. Saina’s storyline would be slice of life: a picturesque life in upstate New York indulging in farmers markets – and her farmers market boyfriend. Charles’s storyline would be incredibly active, following him as he collects his son and daughter from schools he could no longer afford, wealth-addicted second wife in tow. The pilot would end with a phone call made at a kitschy rest stop; Charles is calling Saina to let her know that the family is on their way to upstate New York. So get ready. 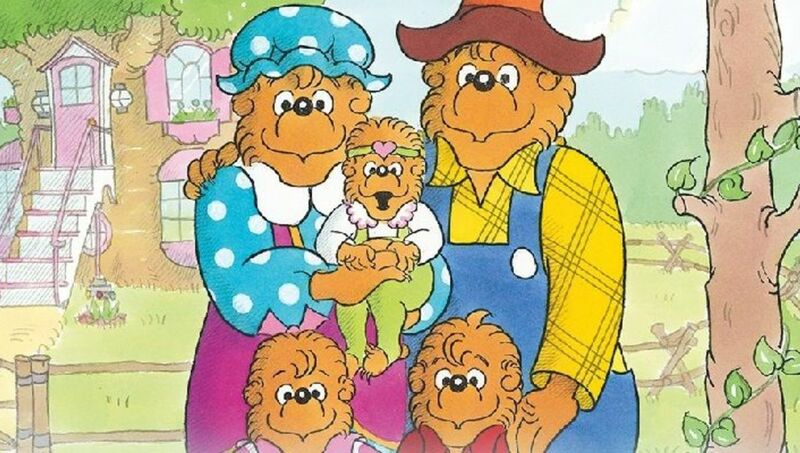 With over 300 books of text to mine from, a family drama adaptation of The Berenstain Bears feels like the logical next step. The series would start with an eviction notice: the Berenstain family is being evicted from their big tree house down the sunny lane. Bear Country is gentrifying and the tree that houses their home is going to be cut down. The dream of retiring in Bear Country bliss is a dream no more for Mama Bear and Papa Bear. Now they have to turn to their grown children for help. The pilot ends with packed suitcases and a U-Haul road trip before landing on Brother Bear’s front door.